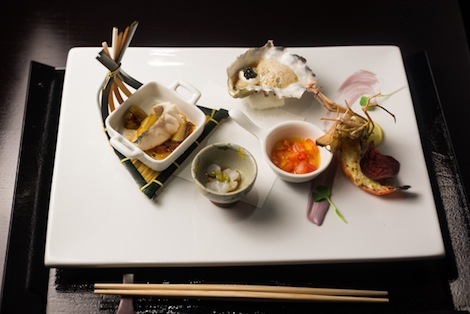 The Chef's Table star breaks down the philosophy of Japanese kaiseki, as well as her ongoing quest to reimagine and modernize the tradition for Los Angeles diners. 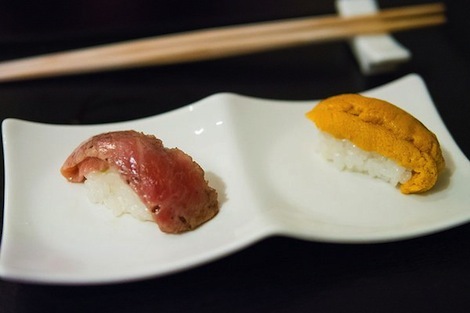 Obsession is the most salient theme of David Gelb’s Jiro Dreams of Sushi, and it’s also the common thread connecting the stories of Chef’s Table, a new Netflix series that turns the camera onto culinary trailblazers like Fäviken’s Magnus Nilsson, Blue Hill’s Dan Barber, and Niki Nakayama of n/naka. 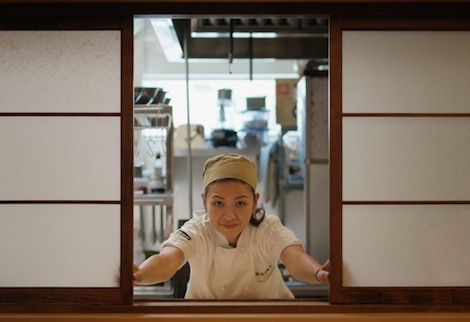 For Nakayama, who first wooed L.A. diners with her artful omakase menus at Inaka and Azami Sushi Café, that obsession finds its muse in the ancient Japanese culinary ritual of kaiseki. 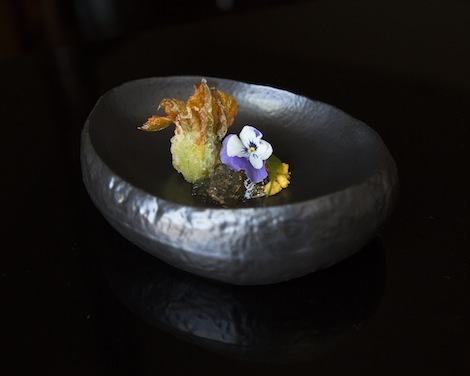 At her four-year-old West Los Angeles restaurant, Nakayama’s pristine, 13-course tastings are contemporary odes to the vegetable-centric dining practice anchored in Buddhism. 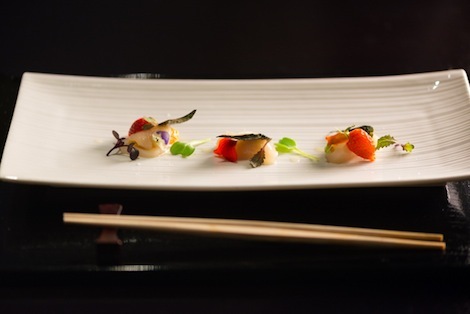 At n/naka, this procession might include Bluefin-tuna sashimi followed by steamed chawanmushi laced with snow crab and white truffle, or aji mackerel sushi after a vinegared salad of black tiger shrimp and white sturgeon caviar. Western elements such as pasta and Mexican-inspired salsa also make unusual but welcome appearances on her ever-changing menu. 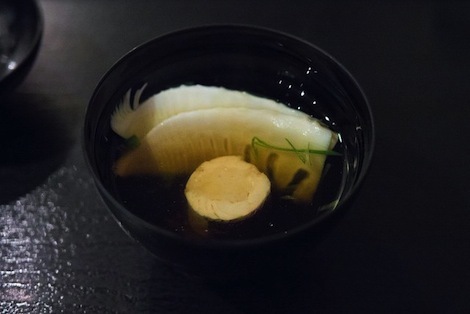 Kaiseki is a philosophy that looks at life and nature. You have to protect the ingredients. 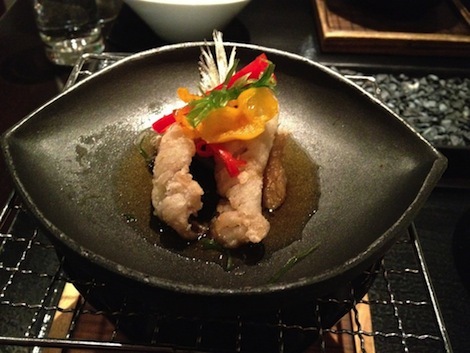 Nakayama first developed her reverence for the rhythms of kaiseki while working at her family’s ryokan in Japan. 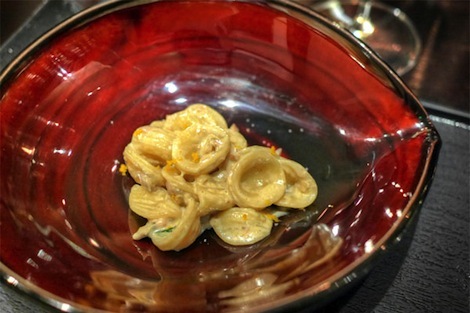 But the L.A. native “always enjoyed eating food a little bit too much, even if I can’t say anyone in my family is a gourmand.” Her childhood often revolved around American dishes prepared with Japanese inflections, like hamburger steak served meatloaf style with a demi-glace, or tempura sauce eaten alongside rice. 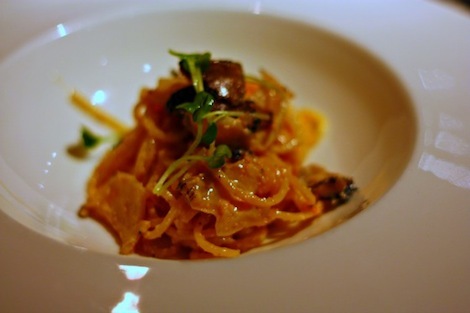 Vibrant, meticulously integrated ingredients are the hallmark of her cooking. 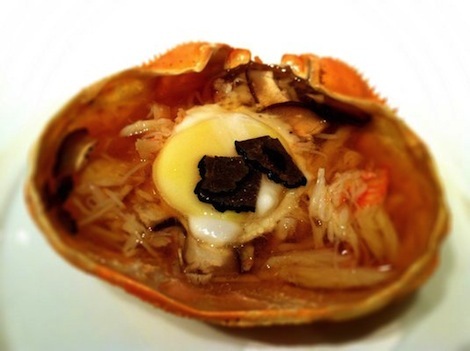 From carbonara-esque abalone pasta, to a dramatic steamed crab head crowned with an egg yolk, here are 10 of the n/naka dishes that highlight Nakayama’s brilliant reimagining of seasonal Japanese cooking.